Wow, you have so many great looking blocks to work with!! And I love that no-waste flying geese method best, too! You have been busy! Lovely stars . 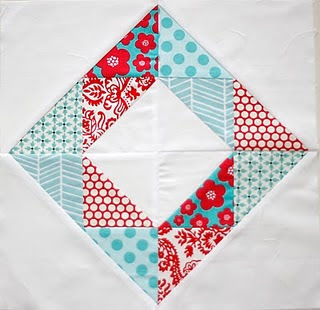 . .
You've been having TONS of fun in your sewing space!! Keep up the good work. 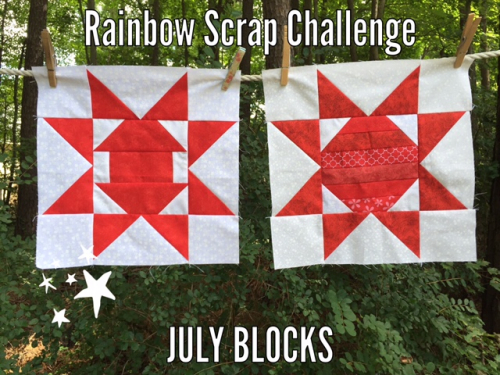 Sounds like a fun quilt block blitz! So many monochromatic stars together is quite inspiring. 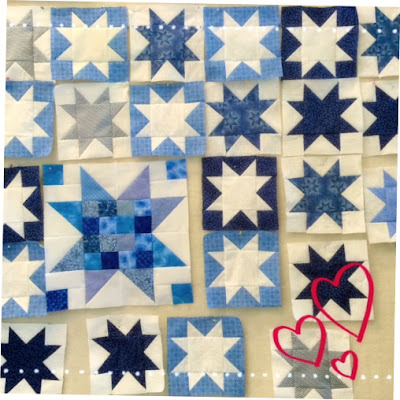 Great idea making the red, whIte and blue stars for donation quilts. Looks like you will make a good contribution. Lots of great star blocks up on your design wall. Lovely stars you have there. Love the two colour combinations. I should do that sometimes. Oh, I love all those star blocks! 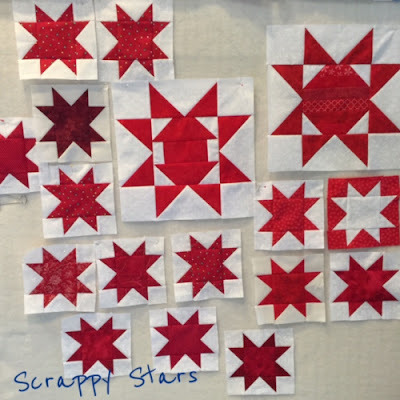 Having all the different size stars is going to make your bee's quilts gorgeous! 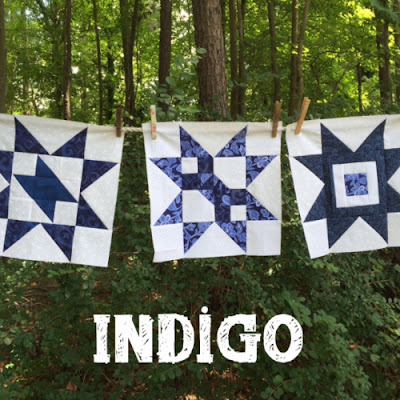 hey, you got indigo! Congrats! Wonderful blocks! You go girl! I finally got started on indigo today...love your blocks! This quilt is going to be a stunner when done!